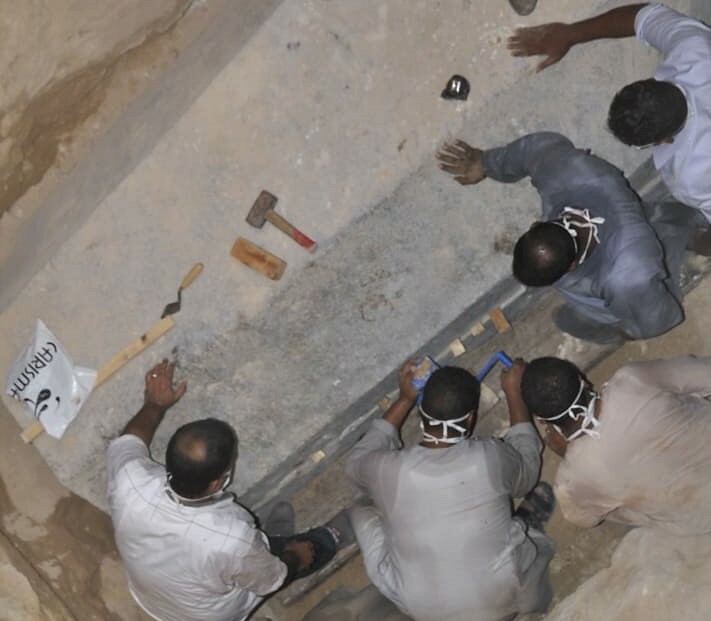 Egyptian archaeologists say they’ve opened up a mysterious black sarcophagus found during excavations in Alexandria, and although they didn’t uncover the evil curse that some feared, they did uncover an evil-looking mess. The coffin was “filled with sewage which leaked through the grove in this area, plus three skeletons,” Mostafa Waziri, general secretary of Egypt’s Supreme Council of Antiquities, reported today in an Arabic-language Facebook update. Photos showed the bones sitting in a pool of dark muck. This entry was posted in GeekWire and tagged Archaeology, Egypt, Science. Bookmark the permalink.